Stauffer Pipe Services offers quality solutions for all your piping needs. 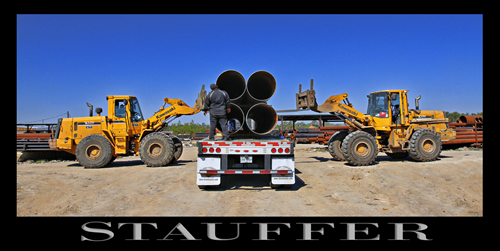 Located on Garrett Road in Houston, Stauffer Pipe is more than ready to handle whatever your project requires. Stauffer Pipe offers a wide range of services to fill your pipe needs. We handle pipe storage with immediate reporting, pipe straightening, machine beveling, saw cutting, de-denting, seawater, chemical removal and so much more. We can also handle your coating needs, including zinc oxide, coal tar epoxy, and potable water for both OD/ID oil and chemical anti-corrosion applications. Stauffer Pipe is able to handle your Stator rubber removal as well.